Home » How Much Does Air Conditioning Repair Cost? If your air conditioner is broken, you may be very concerned about the cost. How much does air conditioning repair cost? This will vary depending on your unit and what it takes to get things working again. Unfortunately, determining how much air conditioning repair should cost is going to need to be done on a case-by-case basis. 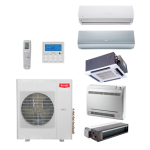 After all, there are a lot of different things that can go wrong with an air conditioner and each of the different problems will have its own fixes and solutions. So, how much are air conditioning repair cost? If the repair is over $500 you may want to call another company and ask how much they would charge for the same repair. This may delay the repair but it could save you a lot of money. There are companies out there that pay their technicians on commission, so the more they charge the more they make. We’ve followed companies that charge $1500 for a motor that we charge $400. Buyer beware!! Check out companies on Google reviews and see what other customers are saying. The best way to determine what your air conditioner repairs are going to cost you is to consult with an experienced HVAC professional. A reliable, trusted and licensed HVAC professional will come to your home, evaluate your situation and give you an estimate in writing about the costs of air conditioning repair. 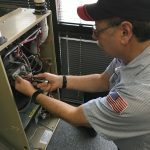 An A/C repair professional can also help you to make a determination regarding whether you are better off in the long-term with repairing your air conditioning unit or better off installing a new and upgraded unit that will provide you with more energy efficient operation and that will last a long time.